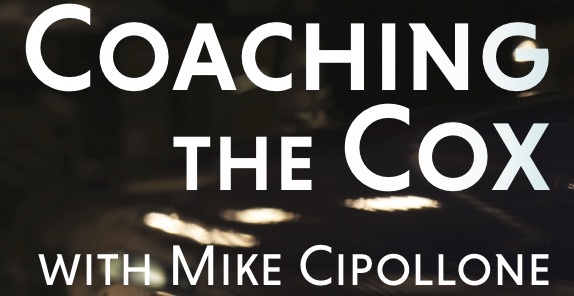 Coxing Magazine had the opportunity to interview Mike Cipollone about his approach to coaching the coxswain. Mike first coxed in Philadelphia, while attending Monsignor Bonner High School. He coxed the men’s Junior National Team, winning bronze in the Junior Men’s Eight at the World Rowing Championships in 1968. That’s Mike there in the Junior Men’s team photo from 1967, down front in the middle. Mike’s son, Peter Cipollone, was also on the National Team, coxing the Men’s Eight to a gold medal at the 2004 Olympics in Athens, Greece. If you’ve met Mike, you know his energy and spirit permeates everything he does. This interview was no exception. 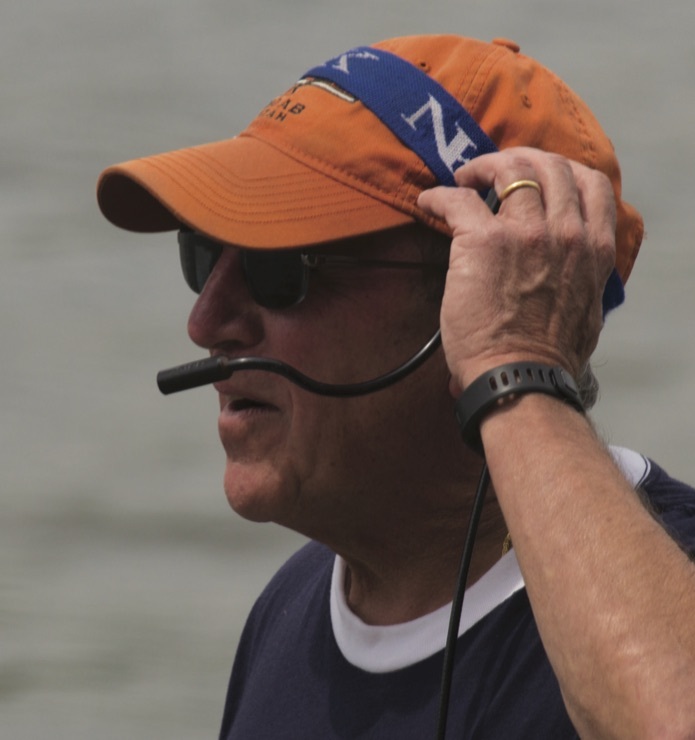 Coxing Magazine: Thanks for being willing to give us your thoughts on coaching the coxswain. Mike Cipollone: I think it’s very... you sparked something when we talked on the phone. We’d spoken briefly a few days earlier to arrange the interview. I wanted to think of the moment that made me understand the importance of coaching the coxswain. It was 1989. I’d been coaching for about five years. Maybe I did grasp how important it was to coach the cox, rather than just bawl them out, but what happened was this: we were attending an international coaching conference in Indianapolis. A coach from one of the Scandinavian countries was there. I’ve been racking my brain for his name. Mike gets a little animated here. Not agitated, as that’s not his nature. No, he just let’s his energetic spirit come through. That enflamed me. There was another cox in the room and we both gave him ----. People think the cox is a lump of meat because they don’t know how to coach them. Listen, you need to criticize the cox occasionally–one or two times per season–in front of the crew. That’s important. What some coaches fail to see is that they’re reflective. What the crew thinks of the cox is led by the coach. When you find a cox who has the smarts, venerate the cox. Say things like, “That was a good landing,” or “I really liked your transitions.” What does that do? You’re building into the crew that one of the biggest enemies is time. And we don’t have time to waste. Most coaches started as rowers, and they never had the time or the opportunity, when they were rowers, to jawbone with their cox. Set up the cox to be part of the boat. Here’s an example: If you see a radical change–either an improvement or a step backwards–ask the cox and the rowers if they felt it. Say, “Did you feel that change? The boat just set up and it ran.” After a while, they’ll feel it. They’ll learn to feel it. And, the cox will adopt that same strategy. Everybody’s in the boat. CM: Can you talk a bit about your time as a cox, and how you started? MC: My friend in grade school, Steve Jonik, kept badgering me. In seventh grade I was 4’ 8” and he’d always say, “Wait ‘til we get to Bonner, we’re going to go out for the crew.” He rowed freshman year, but I didn’t start until I was a sophomore. I was a complete novice. That year, my sophomore year, I had a senior stroking the boat. I was in the Third Eight. Back then, the Third Eight was guys who were too old to row Junior Varsity but not in the Varsity boat, that was the 3V. I’m the new guy. I’m really into it. It’s February. I’m wearing that white long underwear. It’s all wet. I cringe just thinking about it. But this guy, my stroke, he and I came to an agreement that he would teach me. He thought he should be stroking the Varsity Eight. His one goal in life was to beat the V8. His name was Paul Bracken, the guy’s a real brain. He kept teaching me stuff. It wasn’t always fun, but he wanted to win and he knew I had to know something. Paul Bracken is now a professor at Yale and a leading expert in global competition and the strategic application of technology in business and defense. MC: We never lost a race all year. CM: Wow. And your junior year in high school? MC: I was moved into the Varsity boat. My next strokeman didn’t say as much but some of the other rowers knew so much about rowing it made up for it. My two-seat was my friend, Steve Jonik. You know his sisters, probably. Steve Jonik rowed in the 1968 Bronze medal Junior Eight with Mike; his sisters are Ann and Marie Jonik, national team rowers in the 1970s. Mike has a natural tendency toward nicknames. It got to the point where the two of us didn’t have to talk anymore. Teaching the cox to communicate with the crew and to be their liaison is key. If you, as a coach, give the cox the workout every day–have a little chat with him before the practice, or a team meeting–then everybody knows if you’re doing what you’re supposed to be doing. Lee Iacocca always said, “Praise in public, criticize in private.” If a crew is going to believe in their cox, if they’re going to say, “My cox is an excellent cox. My cox gets us half a length on this course. My cox knows how to...” It’s only because someone is teaching the coxswain. CM: Can you talk a bit about the role of the coxswain as an in-boat coach? MC: Even when I was at Bonner, in high school, I knew that as a coxswain, I sometimes had to be a... well, a jerk. If the coach said he wanted the guys to run a loop, I had to get them to do it. I had to go with them, and run it too, and make sure everybody finished. Same with being in the boat. I had a coxswain once who let his guys take a shortcut on a loop run on the Schuylkill. Funny thing was, I happened to be up on the near bridge, watching a race, while the guys were out running, and I saw them cut it short. When they got back to the boathouse I asked the cox, “How’d it go?” “Great, fine,” was his answer. The next thing I said to him was the only thing I could say to him, “You’re out of the boat.” Coxswains have to execute what the coach wants them to execute. Mike stops here, chuckling at himself. The only problem was, we didn’t have anymore coxswains. I went to the lightweight team and got a guy I knew had the chutzpah. He was stammering the first day. In three weeks, though, that guy was one of the best coxswains. He was smart as a whip, and he was aggressive. A smart thing to do is to have an experienced coxswain who comes in once a month and meets with the coxswains. A lot of teams do this. They have someone who is the coxswains’ advocate, a coxswain coach. We had John Hartigan, an Olympian and world champion, as ours at Bonner. Here was a grown man who was an Olympic coxswain and he started talking to us. He said, “The first thing you have to remember is that you’re top dog, you’re the director of operations–the admiral–during a race.” He always reminded the guys, “You’re in charge.” The guys who took that to heart would lead. Mike stops here and repeats “lead,” as if it should be in all capital letters. Really LEAD. There’s nothing greater than a leader in that seat. CM: Can you go into what you think about the cox and coach relationship, and how a coxswain should act when the coach is working with the rowers in the boat during a practice? We had a coxswain’s notebook at Bonner. Like a school book. When the coach said, “Why do we do this drill?” he expected the cox to know why. And this notebook had the list of drills, and the reason we did each one, the objective. It was like a playbook. Coxes should have this, and if they don’t, they should create it for themselves. Coxswains should get a notebook and write down the daily workouts. Have a section for drills and write down every drill you do, and the objective of the drill. Have your equipment checklist, the starts you call, your race warmup, your race calls. Once the cox understands why we do a drill, he gets empowered. If you, as a coach, can get some positive way to give your cox authority, you’ll see results. By being good to the coxswains–not treating them like spoiled kids, but teaching them what they need to know–you give the crew a chance to think that they have an excellent person as their cox. This will get you results. "A smart thing to do is to have an experienced coxswain who comes in once a month and meets with the coxswains."